crumble | Marina Cooks, Inc.
I’ve been getting a lot of apples and pears in my CSA. A LOT. A friend of mine invited me over to her house to break the Yom Kippur fast, so I decided to bring an Apple Crumble Pie. This recipe is for a very large (13 x 9 inches) tray of Apple Crumble, but I decided to divide the filling between a 9-inch (alas, store-bought) piecrust and a 10-x-7-inch baking dish. I think that this recipe is an amalgamation of a few different apple pie and apple crisp recipes I had looked up last year. It’s really easy to play around with it and figure out your ideal combination of flavors. I, predictably, decided to sweeten the filling with sucanat, as it has become one of my favorite natural sweeteners because of its rich molasses flavor. You can, of course, substitute sugar. Our CSA bag has included a variety of apples, so I used whatever was in the bag: Cortland, Macintosh, Golden Delicious, Empire. I like the variety of flavors and textures that result from combining different varieties of apples, making each bite a bit of a surprise. Preheat oven to 375°F. Lightly grease a 13-x-9-x-2-inch glass baking dish. Mix all filling ingredients in large bowl to coat apples. Transfer to baking dish. Sprinkle topping over. 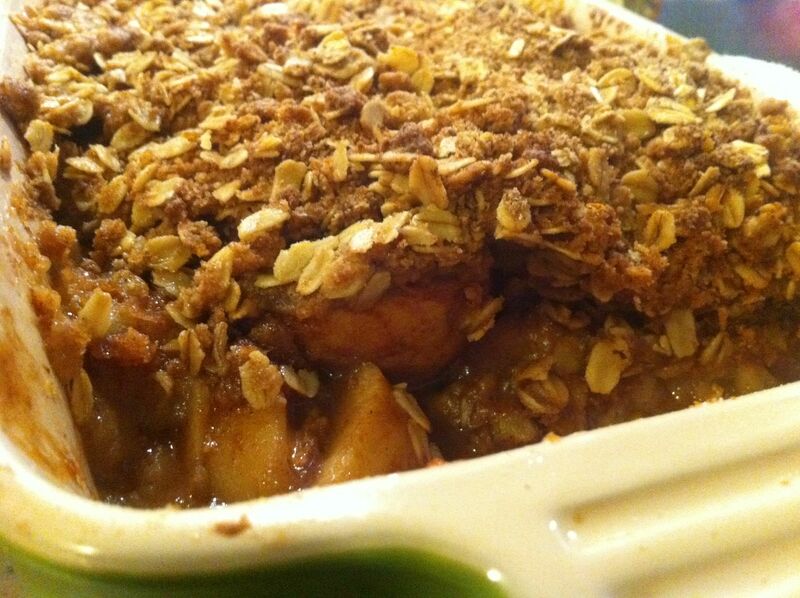 Bake crumble until apples are tender and topping is brown and crisp, about 55 minutes. Cool slightly. Spoon warm crumble into bowls. Serve with ice cream. 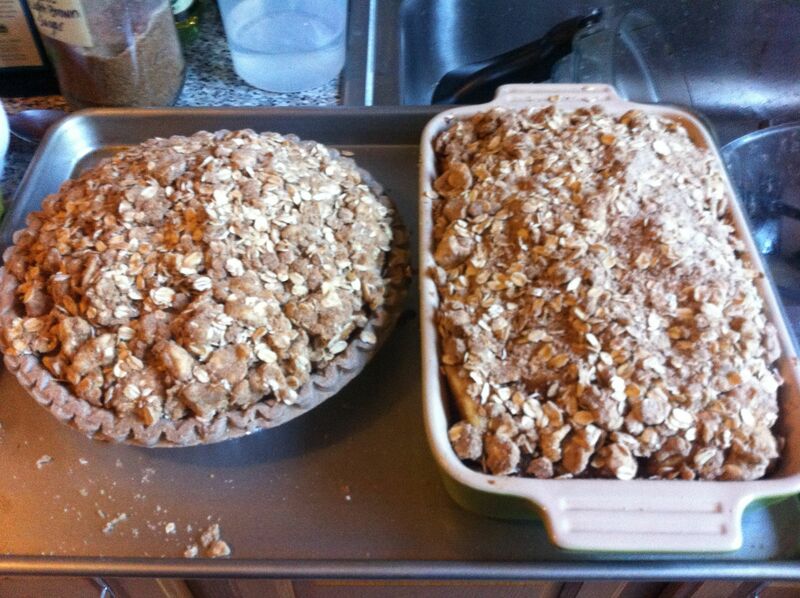 Note: If you’re baking this recipe in a pie or 2 smaller baking dishes, check on it after about 40 minutes. You don’t want the crumble to burn. This entry was posted in Recipes and tagged apples, autumn, brown sugar, butter, comfort food, crumble, CSA, holiday cooking, oats, pie, recipe, seasonal, sucanat, vegetarian on October 10, 2011 by marinaberger. Lard: The New Health Food?